Back to basics, forgetting all the technology that aims to help us maintain an easier healthy lifestyle, if you are dedicated enough there is only really one tool you need, yourself…… and maybe a pair of running shoes. Yes spring is here and the joggers will be hitting the roads in an attempt to achieve that summer fitness height. Whether you’re a serious runner or a beginner having comfortable equipment is a must otherwise your experience will not be enjoyable, or at least bearable. 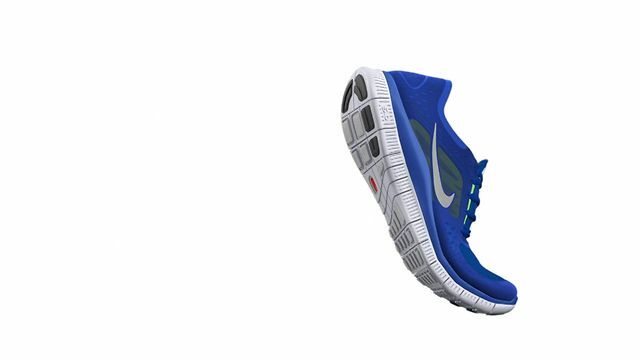 This is where Nike steps in with their new Nike Free 5.0+, 4.0 and 3.0 running shoes. Apparently the new trainers have been in development for over twelve years and Nike claim to be the closest thing to bare foot running on the market. According to the sports giant being able to run naturally allows us to reach our full capacity. It’s just unfortunate that we have to spend a lot of money on shoes to offer us the protection. However if you have to, why not purchase a shoe that has Hot Knifing engineered mesh and fly-wiring technology (apparently this allows the shoe to move more freely)? As well as this the Nike Free shoes will strengthen your feet as they allow increased flexibility and balance, pretty much the same as training bare foot. The reason for releasing three different products is to offer differentiate the amount of support you need. Starting at the 5.0 a sturdier trainer to the lightweight feeling of the 3.0 with the 4.0 acting as a middleman. So the weathers picking up, lets get at it!